The Pumps Australia Petrol fire fighter HP215-GP160 is a strong reliable high head pump suitable for Fluids, Transfer and to help fight the common Aussie Bush Fire. With an amazing head of 65 meters and a max pressure of 94 psi and a constant outlet flow of 450 Litres a minute this High Head HP215A-GP160 HONDA FIRE FIGHTER is the most trusted product in market place and being a leader for Quality and Price across the Industry. The Engine quality is an Genuine Australian Honda Engine GP160 5.5hp giving it plenty of grunt to purrr’ the jobs through. The Genuine warranty backed HONDA ENGINE comes complete with the high standards and quality of Spark plugs, Ignition System, Low Oil and High Quality Air Filter to name a few. The Pump Casing is solid Cast Aluminium with an Inlet/Suction size of 2 inch and a Discharge of 1.5 inch and two 1 inch ports. This Petrol Fire Fighter HP215-GP160 is great for Industries such as Marine, Mining, Oil & Gas Affiliated, Drilling, Municipal, Agriculture and Contracting. Don’t Get Caught Out This Season!!!! The Pumps Australia Petrol Fire Fighter HP215-GP160 is a strong reliable high head FIRE FIGHTER pump suitable for Fluids, Transfer of Diesel Fuel, Spray Booms and to help fight the common Aussie Bush Fire. 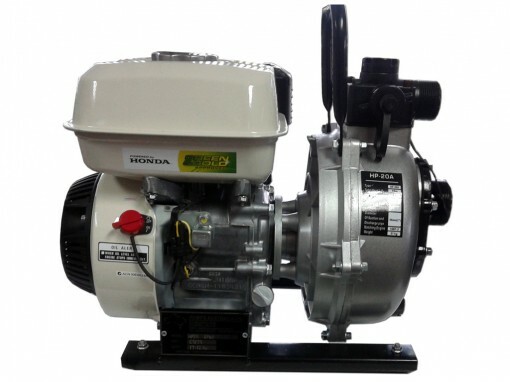 Categories: Power Equipment, Firefighting Pumps, Pumps Australia Pumps, Industry Pumps, Industry Fire Fighter Pumps. Tags: australia, fighter, fighting, fire, gp160, Honda, hp215, impeller, Petrol, powered, pump, pumps, recoil, single, Start.